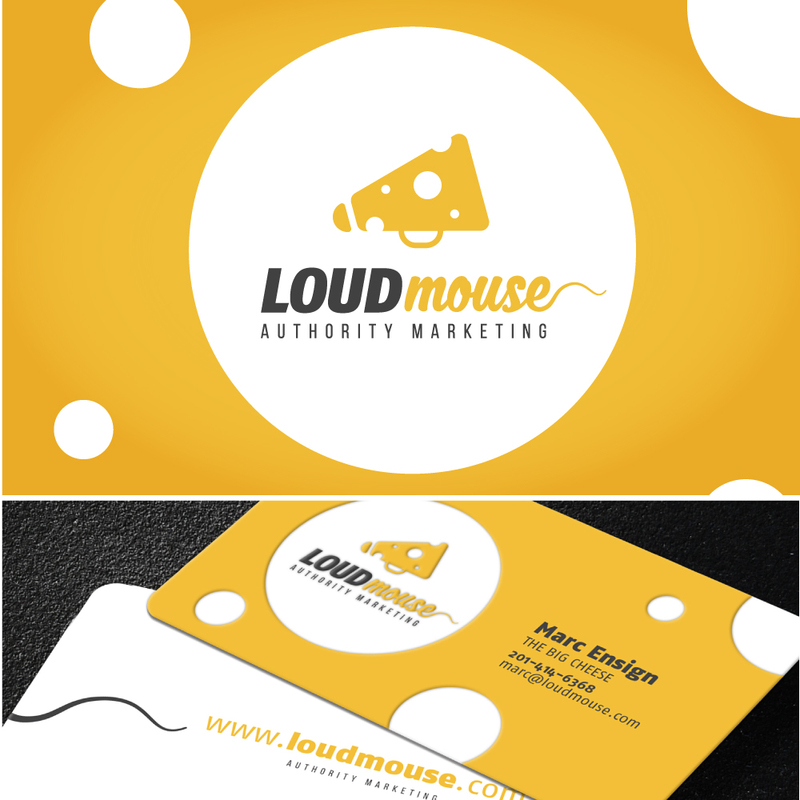 SHAKE designed the logo and business card for Loud Mouse. Imagery was our friend in this design. We chose to use a megaphone shaped like a block of cheese, to create a double meaning that goes along perfectly with the Loud Mouse name and theme. The megaphone suggests “Loud” and the cheese suggests “Mouse.” The curly “e” gives it unmistakable character. The business card is a die-cut card which adds texture and weight, and sets their cards apart in the eyes of potential customers.